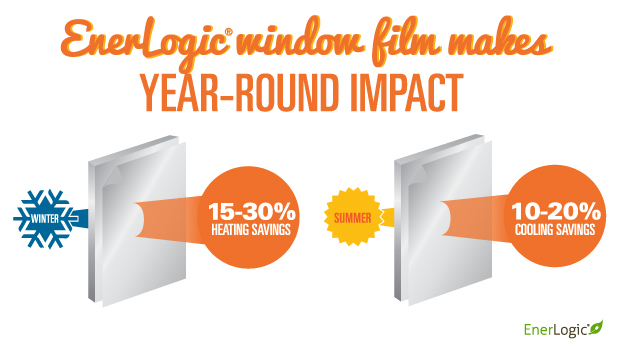 While most commercial window film provides beneficial savings during cooling season, many films have one big drawback: they reduce solar heat gain from windows all year long. In climates where solar heat gain may be desired during the heating season, traditional commercial window film can actually increase the amount of heat required from the HVAC system. Our commercial window film’s low-e coating was developed to offer all the benefits of year-round energy savings while also minimizing iridescent shine. The result is a more aesthetically pleasing, ultra-efficient low-e commercial window film. 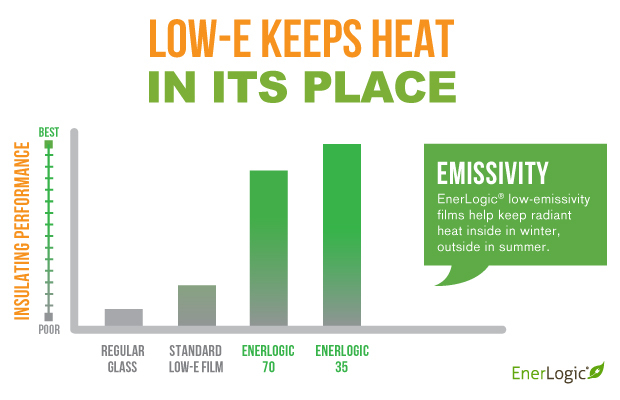 Why EnerLogic instead of new low-e windows or another low-e window film? DVtint balances the equation by lowering upfront costs and environmental impact without compromising energy efficiency or visibility. 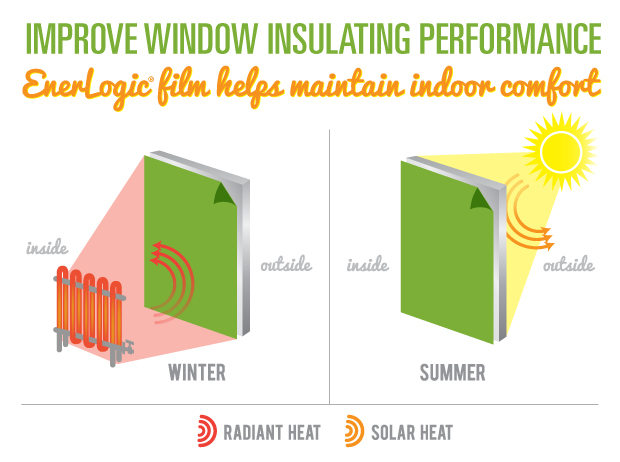 It costs a fraction of the price of new windows, and provides up to three times as much heating and cooling savings vs. comparable visible light transmission film. Savings of 5% to 15% in total electricity costs may be expected in commercial facilities. Savings vary based on glass type, window-to-wall ratio, exterior overhangs, climate, the type of window film, and cooling equipment efficiency. Because of the energy savings it affords, facilities managers may expect to see a 100% return on investment with window film in as quickly as three years. Count the Savings. Count the Benefits. 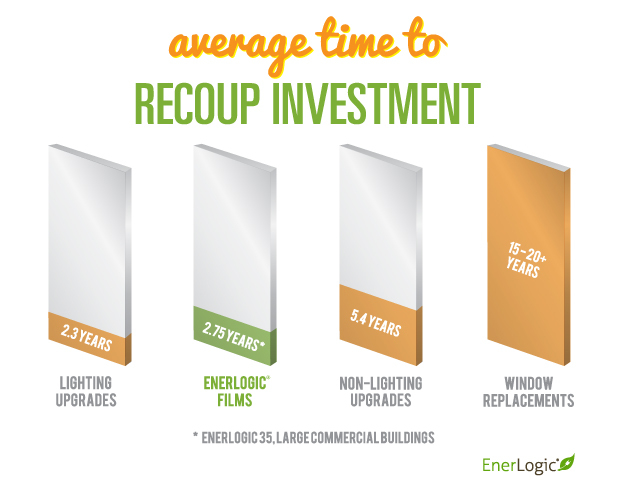 With these energy savings and ROI, is EnerLogic window film an investment you can afford not to make?